I know mojojds won this tournament twice within a weeks time and they did pay the month into my Slotland account. 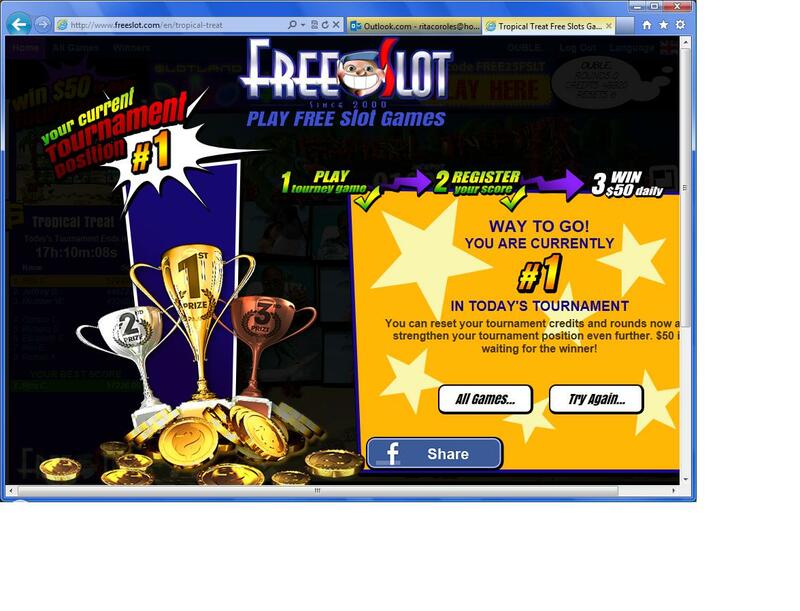 If you haven't tried Free Slot or haven't played for a while give it a try .. but don't knock me outta first place k? LOL just kidding. I came in 2nd or 3rd once long ago. Good luck Rita, I hope it holds up for you !!! Good luck holding on to your first place. I havn't played there in years..I should give it another try..
WTG Rita! I really hope you stay on top (in the tournament, that is...lol)! I haven't played there in years, I didn't even know they had tournaments. I'm gonna check it out. Looks like someone bumped you to 2nd..
BOOOOOO to whoever they are! CAN WE GET AN UPDATE OC ?? LOL. BEFORE I COMMENT....LOL. GOOD LUCK AND LUCKY WASH YOUR MOUTH OUT LUCKY IRISHGIRL ...LMAOOOOOOO ... THOSE ARE BAD WORDS " BUMPED TO 2nd. " I won 3 times, 2 first place and 1 thuird place. Yes, they pay They give you the money on your winady account and you need to wager only 1x. The did make the $25 deposit into my Slotland account and play through is 1x. I did make it up to $68 but damnnnn I couldn't stop LMAOOOO I had a blast though and played a long time. Congrats Rita on your win!! !